About 2,294 jobs in Professional Services sector.
. Strong verbal and written communication skills. Team player, with strong self-starter attitude. What's Required Prior experience in inside sales or sales development prospecting in large enterprise accounts in ANZ. Native English Speaker. 2+ years of work experience. Bachelor's degree is required. and prepare and revise construction documents under the direction of the project manager, engineers, and BIM/CAD manager. Maintain the efficiency and effectiveness of all day-to-day BIM/CAD production activities and responsibilities. Work closely with BIM manager, project managers, and engineers. Help combine multi-discipline models, including but not limited to architectural, structural, and MEP/FP models. Help review and incorporate all changes from models as they are received. Model engineered systems (e.g., fire protection services ) based on engineers’ mark-ups and direction. Provide QA/QC reviews of project production and graphic deliverable. Meet the allocated hours for each task, phase, and/or project. Assist in training new and junior employees in good production practices. Continually improve technical skills and knowledge through training and educational opportunities, reading professional publications, maintaining personal networks and participating in professional organizations. Minimum of 5 years of modeling and drafting experience. Minimum 2-3 years Revit experience; multi-disciplines a plus. Must be able to communicate, coordinate, and work well with others. Attention to detail and consistent procedures. As part of your career development, you will: participate in / lead sales opportunities with senior team members and clients; assist in / lead preparing proposal documents; be supported in building client relationships at all levels. You will be expected to be innovative and insightful in considering industry trends and potential disruptions. What’s most important is that you’re dedicated to supporting your colleagues as part of a high-performing team. You’ll need to thrive in picking up new skills and talents as you go, so natural curiosity, a lot of questions and the confidence to speak up when you see something that could be improved are essential. If you’ve got the right combination of technical knowledge and communication skills, this role is for you. EY offers a competitive remuneration package where you’ll be rewarded for your individual and team performance. We are committed to being an inclusive employer and are happy to consider flexible working arrangements. ØApply knowledge gained through education and experience to deliver a high percentage of first contact resolution (FCR) specialised in technical issues within the global computing environment. ØInteract with and assist other McCormick IT teams worldwide to maintain technical and organizational relevance, and proficiency in the development of solutions where methods and policies are inadequate or not established. ØWorking in the APZ IT Infrastructure team, and with other McCormick IT teams to design and implement policies within the associated systems to ensure consistency and reliability of settings throughout all countries in the APZ region. ØWorking on strategy for technologies the APZ IT Infrastructure team is responsible for, to ensure the business is ready for mergers and acquisitions and that an appropriate plan is available. ØMonitor, report, and analyse real time trends on APZ IT Infrastructure services to proactively identify systemic issues and/or concerns, and escalate as appropriate. ØBuild infrastructure systems to support the automation of business processes through effective hardware engineering. ØMaintain disaster recovery plans for business critical systems and test periodically. ØOversee daily backup of systems, offsite storage management and test periodically. ØCreate and maintain technical and process documentations to ensure any member of the APZ IT Infrastructure team can administer and support any business systems administered and supported by APZ IT Infrastructure, so the business is not reliant on any one person. ØFor 1st, 2nd and 3rd level 24x7 technical support for all infrastructure systems including data centre management, Servers, Storage, PC’s, remote access systems, handhelds, tablets, peripherals, printers, ERP Directory Services, Network Services, and Messaging systems. ØTo work closely with global McCormick IT teams to secure network support including internet and network appliances (proxies, firewalls, content management systems, security systems, etc.) and IP phone systems (PBX/PABX) as well as troubleshooting resources to ensure proper monitoring of uptime, availability and performance of APZ telecommunications systems. Provide and co-ordinate on-the-ground personnel to assist others who may be working locally or remotely. ØFor managing Infrastructure Systems including but not limited to Telecomm, Server, Server software, Storage, and Security. ØFor Citrix infrastructure builds, configuration, administration, and support. ØFor Server infrastructure builds, configuration, administration, and support. ØFor Network infrastructure builds, configuration, administration, and support. ØFor Storage infrastructure builds, configuration, administration, and support. ØFor Virtual infrastructure builds, configuration, administration, and support. ØFor the security of the infrastructure and applications environment including patch management, anti-virus and intrusion prevention. ØFor the Maintenance of full documentation for network and systems. ØMaintains inventory of IT Infrastructure assets. ØLiaise frequently with McCormick IT Infrastructure managers and team members throughout McCormick to ensure knowledge of existing global standards and to develop new standards. ØAssist with managing and ensuring the team is working in accordance with regulatory compliance requirements (eg. SOX). ØResponsible for fully supporting McCormick IT Operations Change Advisory Board (OCAB) and Incident Management processes. ØManage and implement capital projects as assigned. ØAssists where possible for the local GSC taking calls, raising incidents and resolving Priority 1 and 2 incidents where needed. ØProvide leadership, training, documentation, and mentoring to regional team in field of expertise. ØProvide support beyond core work hours as required. ØContinuously expand technical skills and share technical knowledge with team members. Troubleshooting in a fast paced, highly complex environment. Demonstrated expertise in the following areas: Telecommunications, Server Administration, Security and messaging. Excellent organizational skills with the proven ability to independently prioritize multiple problems and projects of high complexity. Prior experience documenting and validating technical solutions and instructions for inclusion in a knowledgebase. Passion for customer service with demonstrated ability to handle high pressure support needs in a calm, respectful, and efficient manner. Demonstrated oral and written communication skills with the ability to discuss technical information with non-technical individuals. Self-motivated problem solver with experience in diagnosing issues and working them through to resolution. Proven ability to work effectively individually and as a team contributor. Ability to maintain confidentiality, and work effectively with all levels in the organization. High degree of original and independent thinking. Network and, or device monitoring experience with monitoring tools like Whats up, Operations manager etc. Previous experience with Service Manager or other comparable incident tracking system and knowledgebases. Prior experience supporting multiple applications in a complex corporate environment. In return, you will work with one of the most prestigious investment company which is currently aggressively investing in new technologies as they are currently going through the most exciting digital transformation. You will receive a competitive salary package while enjoying a very good work-life-balance. ways for people to learn and grow, and this is part of our HPE culture. In addition to working alongside talented colleagues, you will have many opportunities to learn through coaching and stretch assignment opportunities. Youll be guided by feedback and support to accelerate your learning and maximize your knowledge. We also have a reverse mentoring program which allows us to share our knowledge and strengths across our multi-generation workforce. 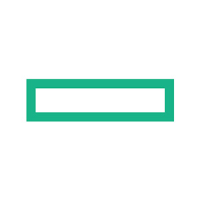 At Hewlett Packard Enterprise, were tackling the biggest challenges and combining our legacy of innovation with a bold new goal to accelerate everything we do. Our engineers work across multiple disciplines and fearlessly create the solutions that make tomorrow more efficient. Ready to change the world? No ones doing it faster. Manages a group of sales professionals for Storage Solutions with emphasis on Nimble Storage. Responsible for setting the direction and managing the deliverables of the assigned sales team, and achieving revenue and expense objectives. Resolves customer problems and participates in important negotiations with key customers. 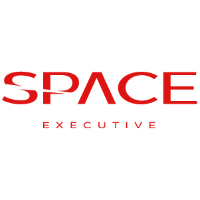 Where appropriate, seeks to build strategic executive relationships externally with clients and internally within company, and partners with internal and external resources to develop best-in-class solutions for the customer. Manages the performance of individual contributors and the team overall, and grows and develops talent within the organization. Focus on strategic direction- Understands the overall company direction and portfolio, and can assist sales teams in customizing solutions based on client needs. Operations Building/Improvement- Continuously monitors, troubleshoots and improves area-of-control operations to ensure alignment with the company's business direction, the quality of business practices, optimum organizational performance and a highly motivated sales force. Resource Brokering/Allocation- Collaborates across the company within the field to access, facilitate and direct the use of resources needed for effective selling. Understands industry drivers and the customer base better to bridge company solutions with account-relevant problems and opportunities. Builds stronger internal relationships with other groups to ensure seamless selling of total company solutions and to establish clear expectations for resource alignment and support. Solution Selling- Approaches selling from a business solution perspective to ensure that company products and services accurately address the customer/client's true business need in terms of type, scope, level.